Build your team’s impact within your organisation? 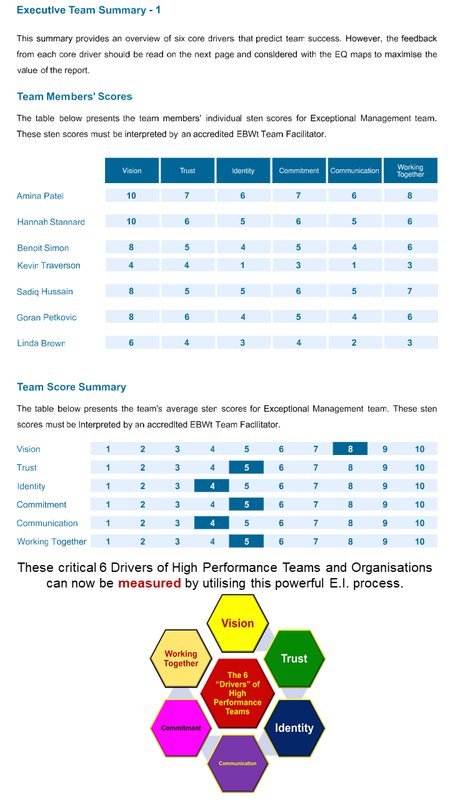 Optimise the efficiency of your Senior Management Team? Resolve deep routed issues between team members? Understand the emotional behaviours behind capability? 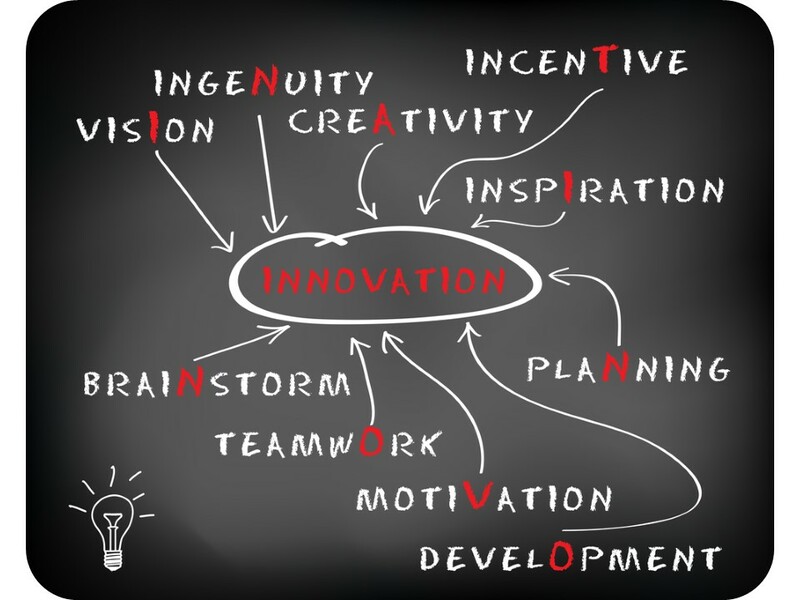 Get disruptive teams to work well together? Have clear action plans for high performing teams? Create a Shared Vision and Strategic Plan for your Team based on individual skill sets? Measure exactly HOW Emotionally Intelligent your Team is? are, sometimes, unable to make a Great TEAM? 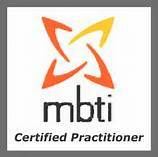 This two-day CPD Accredited Workshop from MTC utilises approved British Psychological Society’s Emotional Intelligence Profiling for each Team Member and will create a detailed assessment of the TEAM’s Emotional Intelligence. The E.I. Profiles will create a dashboard view for the all of the Team measuring all of the key business drivers for Team Effectiveness. This 2-Day, CPD Accredited Workshop is £1,495 + VAT + £60 per (includes TWO E.I. Profile Reports – 1 for the Individual Personal Emotional Intelligence Profile and one for the E-Team profile) – for up to 12 delegates, in-house. Bringing together highly engaging, award winning, experiential activities with traditional and modern, breakthrough thinking leadership theories and models, our accelerated learning modules engage leaders at all levels and equips them with CPD accredited professional development leadership techniques. Leveraging leadership theories and experiential applications, MTC’s Modular Leadership Development Programmes have become the preferred option for the RAF, Army, Navy, 200+ Local Authorities, 24 NHS Foundation Trusts and over 250 Corporate organisations. 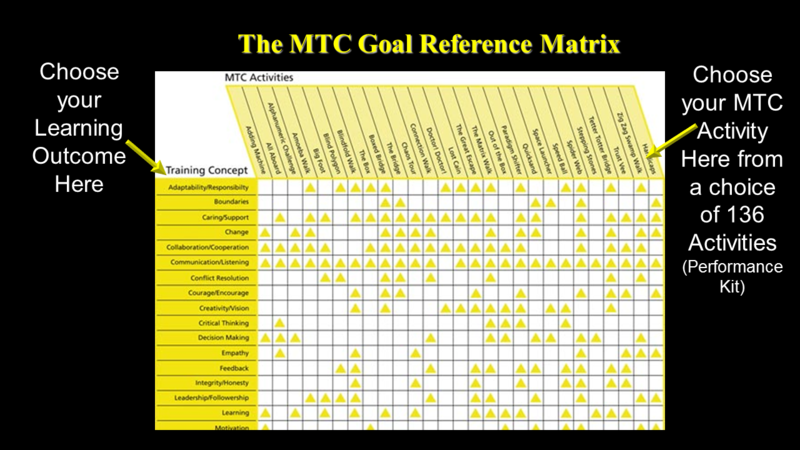 From First Line Supervisors through to Middle, Senior and Executive Leadership roles, delegates will use the Award Winning MTC kit to explore outcome based activities focussed on developing winning behaviours and attitudes at all levels within your organisation. Today’s managers have a challenging role as they are asked to build high performance teams, deliver on KPI expectations, create and deliver Team and Organisational ‘breakthrough thinking strategies’, optimise performances and LEAN processes, implement transformational cultural change programmes …and….do their “day” job! MTC’s Modular Leadership Development journey leads our delegates through all of these challenges on their way to becoming the ultimate Emotionally Intelligent Leader. “Leadership is a combination of strategy and character. If you must be without one, be without strategy”. General H (Storming) Norman Schwarzkopf: Commander of “Desert Storm”. Transformational leadership can inspire positive changes in those who follow. These leaders are generally energetic, enthusiastic, and passionate. Not only are they concerned and involved in the process; they are also focused on helping every member of the group succeed as well. Motivated and empowered individuals with strong personal leadership skills will not only be self-motivated but they will also impact Teams, Organisations and Clients. Our modular Leadership Development programmes are closely aligned to the ILM Leadership levels 3 or 5 and the modules can be chosen and tailored to suit the learning and development needs of the individual or team and / or the job role of the delegate. Alternatively we can conduct a Training Needs Analysis to identify any training gaps and then we can design a modular programme (non-ILM accredited) around the identified gaps. Choose the desired modules from the menu below and we will create your tailored programme. Alternatively, we would be pleased to create a programme around the development needs which you have identified – or we can conduct an online – “The Emotionally Intelligent Leader” Profiling on all delegates to assess current status and which will also identify individual and group training needs from which we will create your bespoke Leadership Development programme. This course combines adventure experiential learning and self awareness techniques on-site. Likely Cost: £875 per Group of 15 for 1 day or £1500 for 2 Days – on the 2 day course, delegates will receive a personalised 15 page Emotional Intelligence Profile (retail price £77per delegate usually) following a 20 minute on-line E.I. assessment. Emotional intelligence (E.Q.) is the ability to identify, use, understand, and manage emotions in positive ways to relieve stress, communicate effectively, empathise with others, overcome challenges, and defuse conflict. Emotional intelligence impacts many different aspects of your daily life, such as the way you behave and the way you interact with others. If you have high emotional intelligence you are able to recognise your own emotional state and the emotional states of others, and engage with people in a way that draws them to you. You can use this understanding of emotions to relate better to other people, form healthier relationships, achieve greater success at work, and lead a more fulfilling life. Perhaps the biggest surprise has been the impact of E.I. in the world of business, particularly in the areas of leadership and employee development (a form of adult education). The Harvard Business Review has hailed emotional intelligence as “a ground-breaking, paradigm-shattering idea,” one of the most influential business ideas of the decade. Business Emotional Intelligence is a practical, work-based approach to Emotional Intelligence that helps individuals and teams understand why people behave the way they do and how to maximise their engagement with, and performance at, work. Business Emotional Intelligence or Business EQ focuses on the critical emotions and underlying behavioural traits that predict occupational performance. The key to the Business Emotional Intelligence is self-awareness and awareness of others, it explains peoples’ capability to manage their emotions and behaviours at work and what effect it has on their potential and their performance. The practical, straightforward approach of Business Emotional Intelligence, with its engaging and accessible business language, makes it ideal for leaders and teams to quickly understand how critical emotions and behaviours impact on the success of themselves and others. 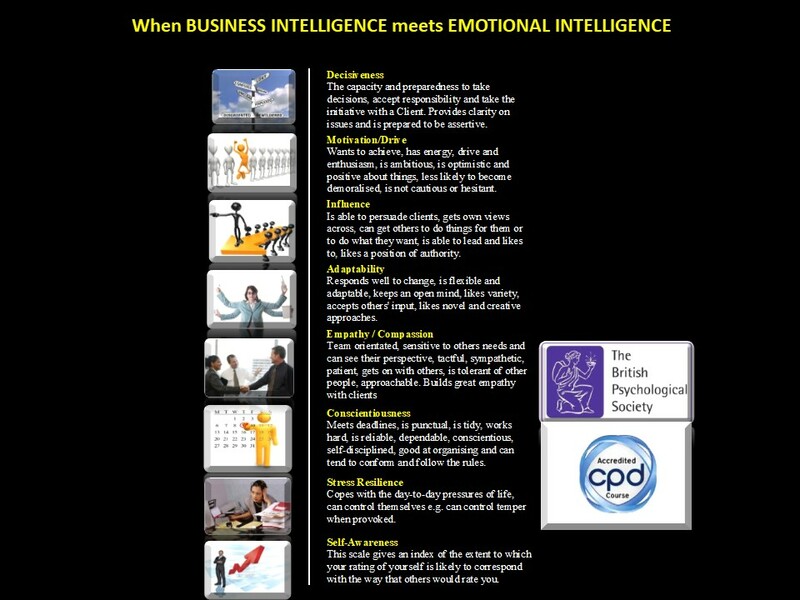 Business Emotional Intelligence consist eight main Emotional Behavioural Clusters (as seen below) that focus on the emotional drives and behaviours that predict success. By developing these 8 Emotional Behavioural Clusters, we are seeing the positive impact across all aspects of Businesses; in the Individual, the Departments or Teams and ultimately, the entire Organisation. How does your Emotional Intelligence bear up under Pressure? Complete an on-line Emotional Intelligence Profile prior to attending the workshop and will receive a 15 page personal report. Develop a greater understanding of all “self” behaviours leading to increased professional skills. Develop a greater understanding of all Intra and Inter Personal Relationships and people “types”. Develop “Other Awareness” – Understanding the impact that OUR style has on our Colleagues, Partners and our Clients Experience. N.B. 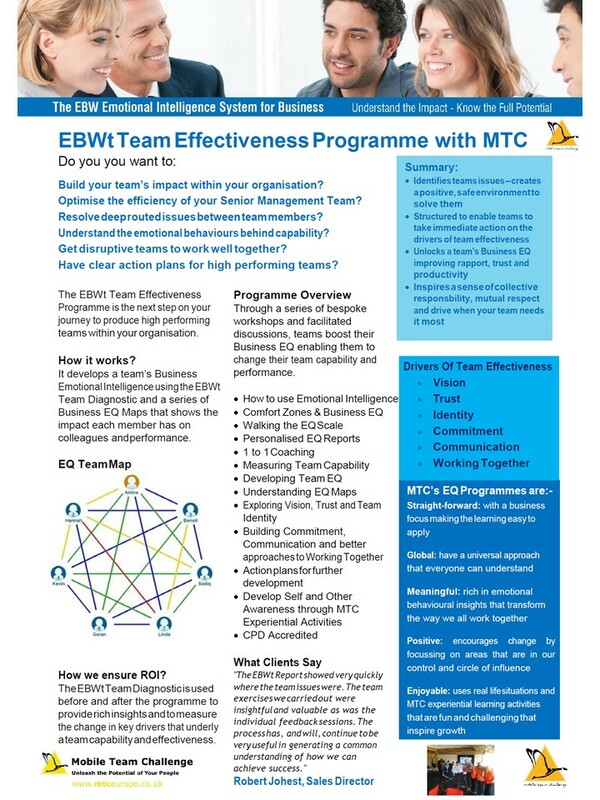 The MTC/EBW also has an impression management tool (IMT) built into the psychometric assessment system that provides insight into what an individual may be trying to hide from themselves and others. A variety of bespoke Workshops that demonstrate the way to unleash collective potential power in Teams in order to maximise their effectiveness and to give them a competitive edge. 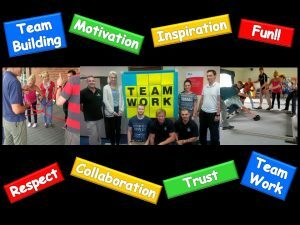 The sessions explore Team dynamics, Team psychology, Shared Visions/Goals and Belbin models whilst also building trust, confidence, motivation and morale and utilises innovative Coaching techniques in the pursuit of Team Excellence and effective Teamwork. This course combines adventure experiential learning and self awareness techniques – either at our Adventure Centre or on-site. The course refers to Patrick Lencioni’s “The 5 Dysfunctions of a Team” and also Dr Stephen Covey’s “The 7 Habits of Highly Effective People”. SO…. you think you know your Team? …click here to see…..
Pat’s work has also been featured in numerous publications such as Fast Company, INC. Magazine, USA Today, Entrepreneur, Drucker Foundation’s Leader to Leader and The Harvard Business Review and this module will encourage delegates to carefully consider Lencioni’s 5 dysfunctions of Teams. 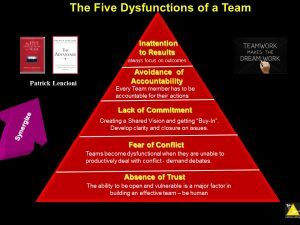 The first dysfunction is the absence of trust amongst team members. The type of trust the author is talking about here is the ability of group members to show their weaknesses, to be vulnerable and open with one another. Trust is never generated in teams when the team members are not prepared to be vulnerable. Instead they feel the need to be right, to be strong and competent, so much that they are unable to be vulnerable and open with one another. Trust requires that team members have confidence in each other intentions, that they are good and therefore have no reason to be protective and careful in the team. The when I ‘m vulnerable it will not be exploited and used against me by the team. The lack of trust amongst teams is a huge waste of time and energy as team members invest their time and energy in defensive behaviours, reluctant to ask for help and to assist others. The key to overcoming a lack of trust is shared experiences, multiple follow-throughs and integrity. In the fable the team completes a Myers Briggs assessment to get the team talking about one another’s strengths and weaknesses and so become comfortable with one another. 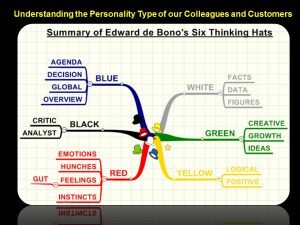 There are many other personality profiling tools and activities available and one of the more simple concepts is to understand the diversity of personalities and characters by considering the 6 “Types” as described in Edward DeBono’s Six Thinking Hats. The primary role of the leader is to lead my example, be the first one to be vulnerable, and create an environment where it’s safe to be vulnerable. Building trust makes conflict possible! Trust is the foundation of great teams and its trust that makes team conflict possible. Teams become dysfunctional when they are unable to productively deal with conflict. All meaningful relationships require productive conflict for them to grow. Healthy conflict occurs when people talk about the issue at hand avoiding personal attacks, looking for the best solution for the team. Teams tend to avoid conflict often replacing it with an artificial harmony. We wear masks and focus on being nice to everyone. However, productive conflict is required for teams to become functional. This allows for meaningful dialogue where people are open to share, without feeling fearful of reprisal or criticism. One of the worst team dysfunctions is when you have a team of “yes men”. Leaders need to encourage debate, support it and keep it productive. Teams who avoid conflict spend much time “off-line” never making decisions that the group can commit to. Healthy and productive teams accept that conflict is a normal part of being in a team to learn to deal with it productively. When working with teams leaders need to understand the importance of conflict in teams, being careful not to try and steer the team towards premature resolution of conflict with the intention of protecting people. It’s important for leaders to help the team members to learn and develop positive conflict resolution skills. The beast way to do this is for leader to “lead by example”, modelling the appropriate behaviours, rather than trying to smooth over the conflict. What Leaders and their teams must do is learn to identify artificial harmony when they see it, and incite productive conflict and resolution in its place. As Bruce Tuckman identified, every Team goes through a “STORMING” stage in its dynamic evolution and this frequently manifests itself as “conflict”. When teams engage in productive conflict they can confidently commit and buy-in to decisions. Commitment is a function of clarity and buy-in. Productive teams make clear decisions and are confident that they have the support from every team member. A lack of commitment usually arises from not hearing all the teams concerns before making a decision. There can be no commitment without debate. People will not buy into something when their opinions and thoughts on the matter were not included and discussed. “If they don’t weigh in, then they won’t buy in.” This is not as much about seeking consensus as it is about making sure that everyone is heard. Leaders can help to facilitate commitment by reviewing all key decisions made at the end of team meetings, making responsibility and deadlines clear. At the end of the day it’s about each team member being accountable to the team. This means that a team member never lets the team down when it comes to meeting commitments. The team needs to hold their peers responsible for achieving results and working to high standards. It’s the responsibility of each team member to hold one another accountable and accept it when others hold them accountable. It’s often the case, that when teams are not holding one another accountable it’s usually because they’re not measuring their progress. It’s important to make clear what the team’s standards are, what needs to get done, by whom and by when. Ambiguity is the enemy of accountability. When teams are not held accountable the team members tend to look out for their own interests, rather than the interests of the team. A healthy team places team results as the most important goal. When all team members place the team’s results first the team becomes results orientated. Leaders need to make the teams results clear for all to see, rewarding the behaviours that contribute to the team’s results. It’s the responsibility of the leader to keep the teams focus on results. 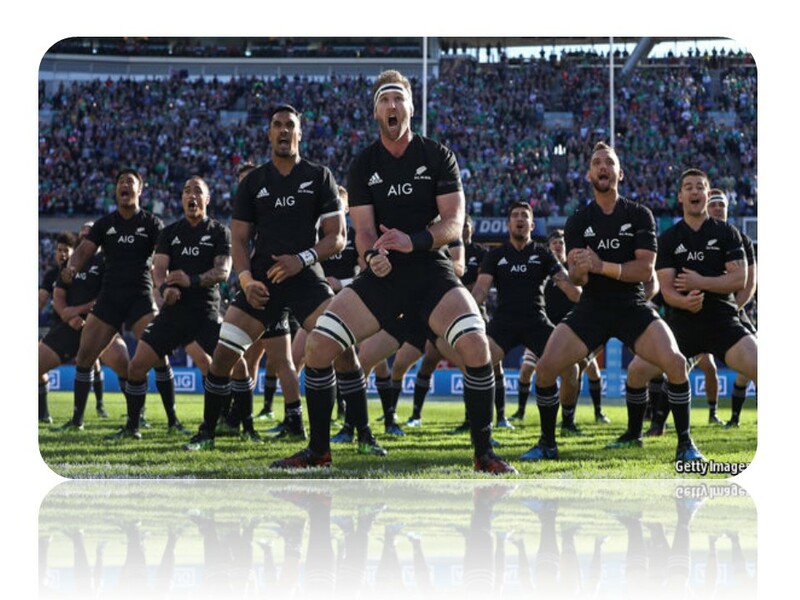 By addressing these dysfunctions, what results, is a cohesive team…. They trust one another. 2. They engage in unfiltered conflict around ideas. 3. They commit to decisions and plans of action. 4. They hold one another accountable for delivering against those plans 5. They focus on the achievement of collective results. 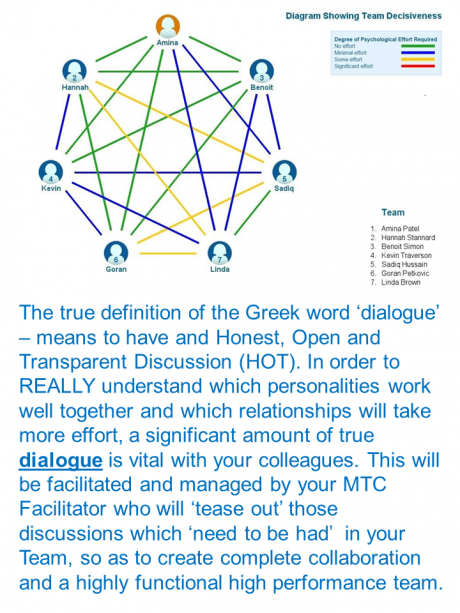 £1,450.00 + VAT for a 2 Day Programme – includes Myers Briggs or Emotional Intelligence Profiling FREE OF CHARGE including a “5 Dsyfunctions of a Team Assessment” of YOUR Team… and LOTS of in-house Team Building Activities! What better time is there than the present to develop your team into a High Performance Team in order to take on the challenges of the current climate? To understand the roles that people play in Teams (Belbin) – delegates will participate in a Belbin Profiling to see their preferred role in a Team environment. To enhance honesty and respect for each other team members. To participate in state of the art Experiential Activities – make Personal and Team Development FUN!! There’s Leadership, Followership and there’s…CONFLICT! Where do most successful teams spend their time? MTC use the goose on our logo because there are SO many lessons that we can learn from the geese to help us understand the power of teamwork. Take a look at our latest video here and see how many lessons you can learn.